Do you know why some brands are very successful? Do you why they are the consumer’s preferred brand, even in a market with competitors offering similar products and the same quality? We wait months for their product launches, we share news about them, and even before a product is released, there is already a huge waiting list. I bet an apple came up to your mind, right? Which company does not dream about it? The secret of all these successful brands is Branding. Besides quality, there is a strong and consistent brand identity that helps customers recognize products, creates an emotional connection, making them loyal and committed to the brand. Which results in sales and free publicity. Now you may be wondering, is branding only for big companies? How can I start it on my own business and how is it related to design? 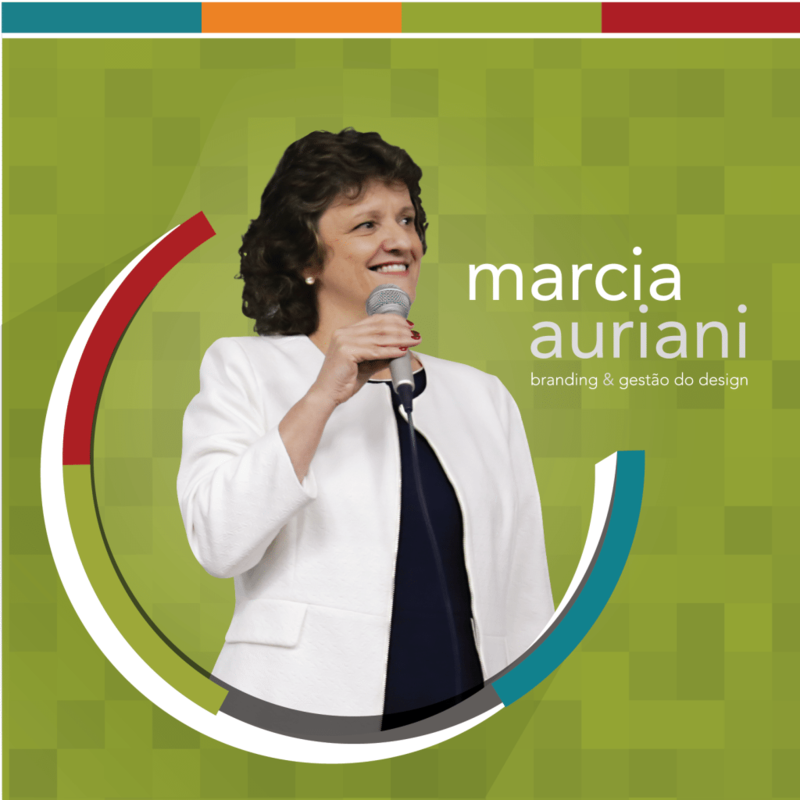 In order to answer all of these questions and help you to start the path of the brand building process, We from We Brand-Desygner, interviewed Marcia Auriani, executive manager at InfoBranding.com, a Brazilian website dedicated to the subject. We are happy to share with you her valuable insights and knowledge about the strategy that will drive your business to success and put it on the top along with the biggest and loved brands in the world. 1. How do you define branding? Marcia – Branding, by itself, is the set of tools and actions aimed at the management of the company’s main intangible asset: the brand. An organization’s brand is not exactly what the leadership wants it to be, but rather what consumers believe it to be. The brand will be on the streets, in consumer household, will be tried and tested, will be part of the daily life, and for this reason, it is so important to understand the market in which it wants to be included in. According to the American Marketing Association’s dictionary, the brand is a name, term, sign, symbol or design, or a combination thereof, which seeks to identify the goods and services of a seller or group of sellers and differentiate them from competitors. A brand often includes an explicit logo, fonts, colour schemes, symbols, sounds that can be developed to represent implied values, ideas, and even corporate personality. Brand Management, also known as Branding; is not only about making the consumer choose a brand instead of the competitor but to make a potential consumer perceive the value of the brand as the only solution for what he seeks. Beyond products and services, what we buy are brands. The brand has the function of identifying in the mind of the target public, its strategic positioning and through all the actions of marketing, reflect its differentiation in the market. Strategic positioning is the definition of the image that the brand wants to spend and how it wants to be perceived in the market. It is the meaning that translates the brand and what it represents in its essence and in the mind of its target audience. In order to establish an authentic positioning, it is first of all necessary to define the mission, the reason of being of any and all enterprise, which reflects the purpose of the brand. Then the vision, which has the function of prescribing the brand in the long run, or rather clarifying what it intends to be and what it intends to accomplish. Finally, values, that is what ethical principles will guide corporate management. These three elements determine the sustainability of the brand. The brand becomes a valuable asset, an object of desire, becoming a differential in transactions involving mergers and acquisitions around the world. People do not buy products and services solely because of their functional aspect, but also because of what they mean in their life, that is, people buy products, choose brands, buy experiences. The brand is almost a “necessity” for the human being, a need so real that it becomes physiological and this is all due to the emotion it provides to its consumers. In conclusion, brands are the synthesis of the value experience generated by branding well to consumers and their preferences for the products and services they consume and use, generating the true importance of Brand Management. 2. What is visual branding/branding identity? Márcia – The visual identity of a brand is the identifying symbol that distinguishes a product or company from its competitors. Through a symbol, logo, typography, and color, the brand conveys the culture, values, principles, and politics of a company. The design of a well-developed brand, with all its applications, brings significant benefits both internally (organizationally) and externally, setting the image that reflects for internal and external customers, the personality of the brand. A strong symbol facilitates the recognition and remembrance of a brand, as it provides cohesion and structure to your identity. The success of a company in today’s market depends, fundamentally, on the recognition of its identity and the competitive differentiation offered by its products and/or services. In the current scenario where quality and technology have become basic pre-requisites, the design is the secret, it is the key to success for the consistent positioning of a brand in the market. 3. How do branding and design relate? The social, technological and economic changes that result from globalization, together with the speed with which we receive information through the internet and other means, directly influence the challenges for brands. In this context, branding and design influence the management process acting as tools for the construction of brands with a strong and differentiated identity in their operating environment. Brand management must create a differentiation for its identity against the competitive landscape. The design is an essential tool for your strategic positioning. In this context, design appears as a strategic tool used by brand managers not only to identify the brand with its differentiation, but also to emotionally impact consumers through their applications, be it the visual identity of their symbol, the website and the social networks, shop layout, graphics quality of packaging, or highlighting services and products with the aim of enchanting the consumer at all points of contact. In this way, the design is an important tool to add value to products, be tangible and intangible, giving personality and brand identity. Competing today in a scenario of globalized competition is the great challenge for companies. As many national and international surveys point out, the big difference between companies today is “something else that makes the difference” the design. However, to achieve success it is not enough to offer products with design to the market, or just to present a well-developed brand from the hiring of a suitable consultancy. The design must form part of the overall philosophy and strategy of the brand and its business, integrating into design and brand planning and management activities. 4. 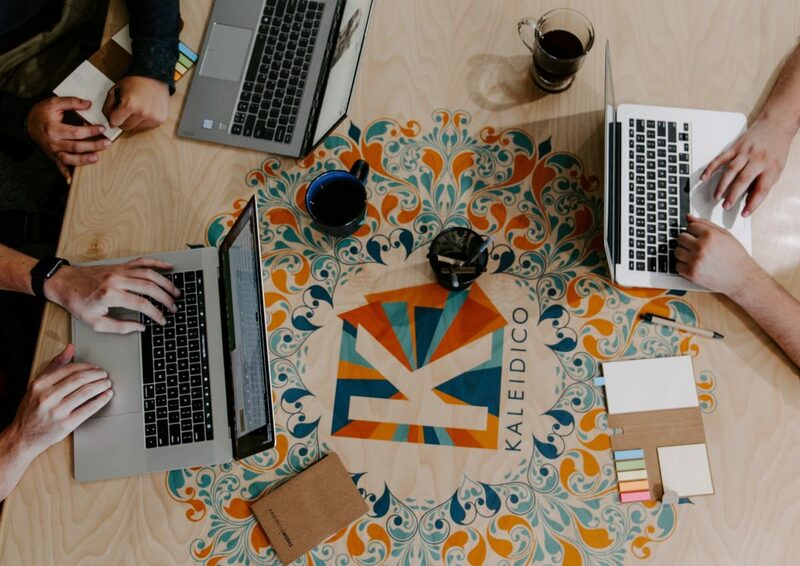 How important is design management to branding and business success? Márcia – The competition is global and the brands that want to survive in this market, regardless of their small, medium or large size, will have to invest in innovative products, and the management of the design is responsible for creating and embedding a corporate culture that positively affects the image of a company, that is, its brand, its products, and services offered in the market, becoming an important tool of competitive differentiation. Design, in the first place, is a process, a way, a method of designing, planning, and developing three-dimensional objects and visual messages. Second, the design is the result of that process, i.e. the configuration of that object or message, including all elements and instructions for its reproduction. Design management is a strategic tool to create and deploy a business culture that conveys a positive image of the company and positions its brand in the target market by strategy. Its main mission is to coordinate a design policy with the aim of communicating the values and philosophy of the company. For this, it must establish a design policy that manifests itself through corporate design. Corporate design coordinates the products and also their communications, environments, and services through trademarks, packaging, store interiors, signage, administrative papers, internet websites, uniforms, fleets and any element used by the company to interface with its operating environment. The benefits of implementing a design management program in a company are those of adding value, developing brands, products and personalized services that meet the needs of the target audience, taking full advantage of the potential of the company, with the objective of transmitting, through the brand, its differentials. Design activities are more easily coordinated and produce more harmonious results when developed within a properly structured and interdisciplinary research and development hub. It is necessary to integrate designers, marketers, engineers, and technicians who contribute to the common interests and objectives of the company, each in its speciality and in a broad way. The great advantage of implementing a design management program is the result that the brand can achieve with its image in the market. The brand thus achieves a unity in its discourse, a corporate identity that facilitates the identification of its message, allowing greater indexes of memorization that favor the behavior of the exchange and indicate the competitive differential! We hope you have enjoyed it and we are sure that it will be much easier to work on your branding with this super valuable content. Want to know more about We Brand, the newest Branding, and Design solution that is conquering the marketing world?